An audit conducted by Daniel Levinson, Inspector General of the U.S. Department of Health and Human Services, found that elder abuse and neglect is a significant concern for Medicare beneficiaries and that the Medicare program currently has inadequate procedures to ensure abuse or neglect are identified and reported in accordance with legal requirements. 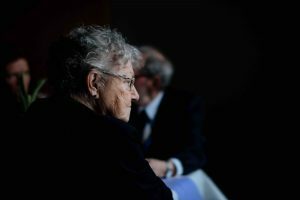 If you have a loved one living in a nursing home and you believe that he or she is being neglected or abused, contact an experienced San Francisco elder abuse attorney at Brod Law Firm right away. While Medicare mandates that all suspected abuse or neglect of elderly or patients be reported to the police immediately by the facility’s staff, this is often not the case. Many episodes of abuse or neglect go unnoticed and unreported, leaving your and other people’s loved ones in danger. Auditors reviewed Medicare data from 2015 and 2016 regarding emergency room visits of elderly nursing home residents. In that time, the auditors discovered 134 cases in which hospital records showed sexual or physical assaults of the elderly patients. Illinois had the most cases of physical and sexual assault at 17, followed by Michigan with 13, Texas with 9, and California with eight. There were no notes of the abuse being reported to the police in 28% of the 134 cases – 80% of which were sexual assaults. These incidents of abuse went unreported despite a federal mandate. Nursing home staff members are supposed to notify the police within two hours of discovery if there is serious bodily injury and within 224 hours if there are no serious bodily injuries. Based on these figures, Inspector General Levinson determined Medicare procedures regarding potential elder abuse and neglect are inadequate. More specifically, The Centers for Medicare and Medicaid Services (CMS) officials do not match Medicare reimbursement claims of emergency room services with claims for skilled nursing facilities’ services to identify instances of possible abuse or neglect. Additionally, CMS has not taken any enforcement actions regarding mandatory abuse or neglect reporting or utilized penalties since March 2011. While the CMS officials state they took steps to protect nursing home residents by adding the reporting requirements to training courses and interpretative guidance, they did not add the reporting requirements to the State Operations Manual until March 2017. If you have an elderly loved one living in a nursing home and you suspect abuse or neglect, the first step is to speak with the facility’s staff to ensure it is properly reported to the police and that your loved one’s care is reviewed and improved. If you do not receive the appropriate response from the facility, contact an experienced San Francisco elder abuse attorney at Brod Law Firm right away. We will review the situation and advise you on the best next steps, which may include contacting law enforcement. If your loved one was injured due to neglect or abuse, he or she may have the right to file a legal action against the perpetrator and/or nursing home. During a personal injury or medical malpractice claim, your family member can seek compensation for his or her physical, psychological, and financial injuries. To learn more about how we can help, call us today at (800) 427-7020.